TfL reports that its amended scheme for a gated development on Dalston's Western Curve has been described as of "exemplar design" by Hackney's planners ie a model which Hackney would like to see copied or imitated. Previously its plans, TfL acknowledges, were described as "uninspiriring and repetitive". TfL describes the Western Curve's northern block now as 'sculptural' and which 'responds' to local character. TfL's amended plans follow the withdrawal of its plannning application last January, after criticism by the local community and Council plannners. 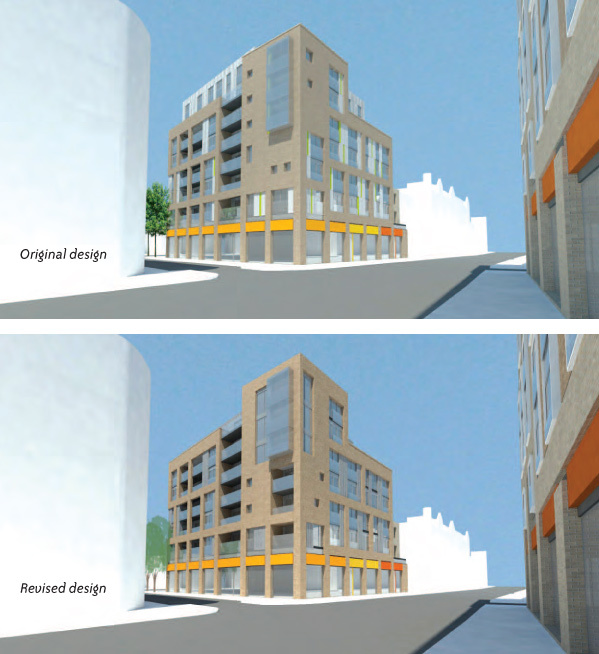 The amended plans have removed the 8th storey ( except for the corner tower), and set back the 6th and 7th storeys, of the northern block on the corner of Bolyen Road and Kingsland High Street. TfL describes the reduced height as a "substantial concession" - although the Council and government approved Dalston Area Action Plan identifies 4-6 storeys only as suitable for the site. 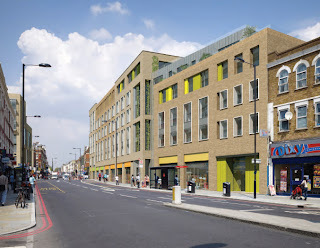 The block on the southern site, extending north from Dalston Junction, will dominate the street scene and obscure views and light from Ashwin Street and the Reeves and Sons Printhouse building and Shiloh Church. Other design changes include more variation to the frontages, upgrading cheaper to more expensive finishes, increased room heights to flats, more balconies etc. 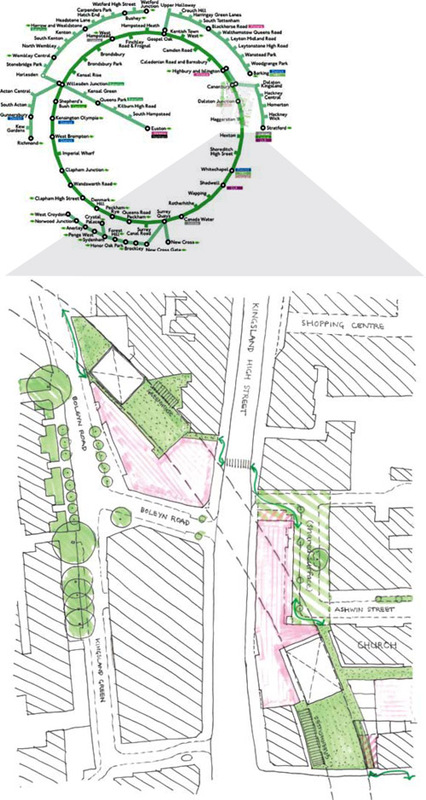 From the outset TfL, a public landowner, rejected OPEN Dalston's requests for public green space to be incorporated within the designs. It insists that all the public land would be enclosed as amenity space within its new private development in which some 90% of flats will be for sale. We met TfL's bosses, the GLA, and put forward detailed evidence of need and designs to illustrate what would be possible. Providing green space is known to increase well-being. It also increases land values (see, for example, the High Line effect) but TfL say our plans would make their scheme "financially unviable" . 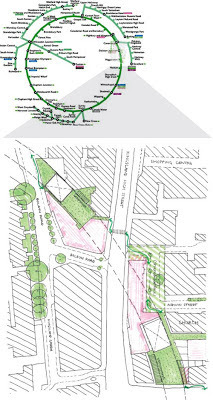 TfL says that Hackney agrees that public green space would be "inappropriate", although the Council's official design brief for the sites refers to "encouraging" the provision of open green space.